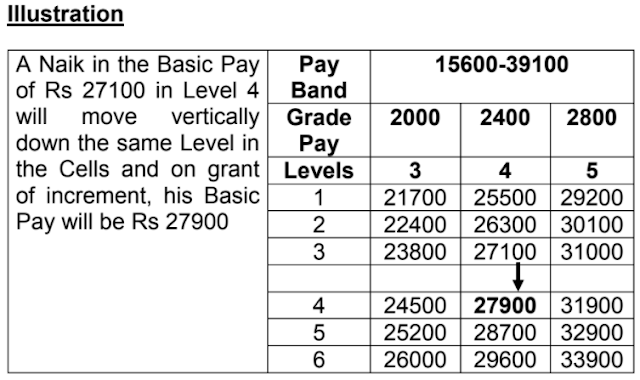 Increment in Revised Pay Structure. An offr will move one stage vertically down in same Level on grant of annual increment. 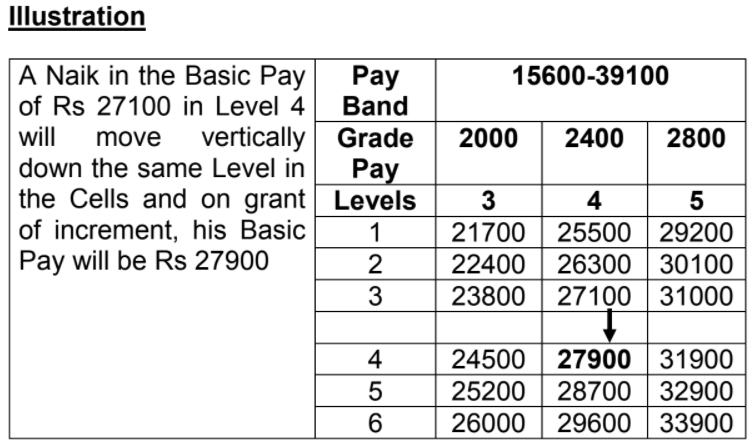 Annual Increment in Revised Pay Structure. (a) There shall be two dates for grant of annual increment namely, 01 Jan and 01 Jul of every year. JCO/OR or a recruit shall be entitled to only one annual increment, either on 01 Jan or 01 Jul depending on the date of his appointment or promotion or upgradation or enrolment. 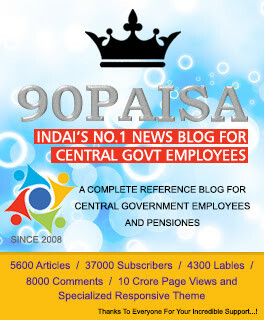 (b) The increment in respect of a JCO/ OR appointed or promoted or upgraded or in respect of recruit enrolled during the period between the 2nd day of Jan and 1st day of Jul (both inclusive) shall be granted on 1st day of Jan and the increment in respect of a JCO/ OR appointed or promoted or upgraded or in respect of a recruit enrolled during the period between the 2nd day of Jul and 1st day of Jan (both inclusive) shall be granted on the 1st days of Jul. Auth : Para 9 of GoI, MoD Gazette Notification Ser No.9(E) dated 05 May 2017.